Ongoing activities parents, caregivers, and children can attend together. Description: CADL operates 13 branches and a Bookmobile in Ingham County, located in the communities of Aurelius, Dansville, Haslett. Holt, Leslie, Lansing (3 locations), Mason, Okemos, Stockbridge, Webberville and Williamston. Find details at cadl.org/hours. Library cards are free to residents of CADL’s service area, and available for an annual fee to non-residents. Parent-Child Activities: Events geared toward young children include story-times for babies, toddlers and preschoolers. Also offers activities for school aged children and adults which include book clubs for all ages, Lego Club, game nights, movie and music series, seasonal events and activities, and more. See website for current events and activities, hours, and locations. Parent and Child Activities: Include family swim classes (Water Tots) and family exercise classes (Family Yoga). Also offers a variety of aquatics, arts, dance, enrichment and fitness classes to community members of all ages each fall, spring/winter and summer. See website for current events and activities and hours. Eligibility: Classes are for both city residents and non- residents (pay higher fee). Parent-Child Activities: Includes Story Time and Toddler Time, cooking classes (Cooking with Kids), and other family activities and activities for children. See website for current event and activities and hours. First Impressions Room: A room designed to offer safe, inspirational space where young children (ages birth to 4) and their parents can play and explore. Exhibits: Various exhibits designed for children and their families to explore. Pop! A Bubble Experience, Flow: A Water Experience, and rotating exhibits. See website for current events and activities and information on membership fees. 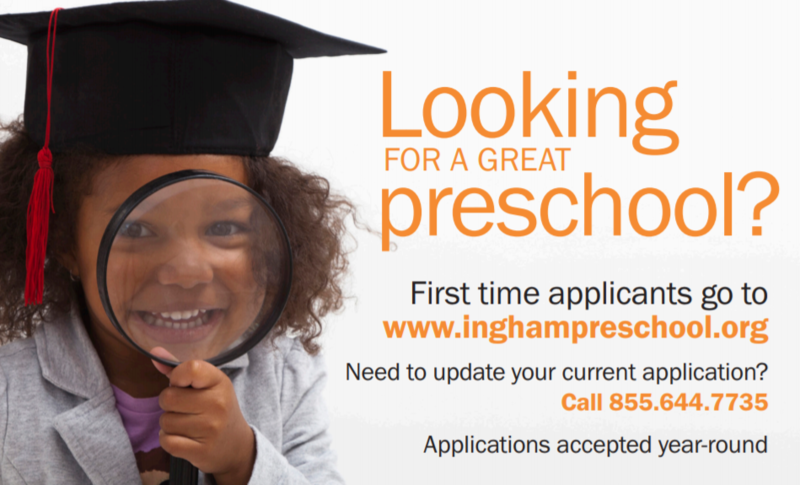 Playgroups: Playgroups are offered at various locations through Ingham County. 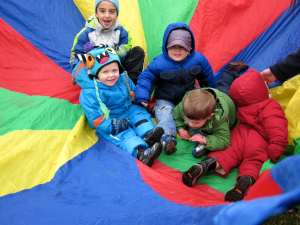 Provides activities for families to play alongside their children and support their child’s development in areas such sensory experiences, peer/social interactions, language skills and more. Activities include story time, music and singing, creative/art activities, and more. Information on topics related to young children and parenting is shared, as well as connections to community resources. See website for current schedule with locations, times, and to register. Parent and Child Activities: Include family swim classes, and family exercise (Karate). Also offers a variety of aquatics, arts, dance, enrichment and fitness classes to community members of all ages each fall, spring/winter and summer. See website for current events and activities, locations, and hours. Mason Aquatic Center: Offers family swim classes (Water Babies 6 months – 3 years, Fin Buddies 3 – 4 years) and Open Swim. Call for details and current schedule. Early Childhood Music Classes: An infant/toddler class is offered for children ages 3 and younger where children attend music class with a parent or caregiver. Music classes are also available for children ages 3 – 5 years (Preschool Music Classes) and school aged children ages 5 – 7 years (Making Music) and older youth. See website for call for class schedules and fees. Financial assistance is available. Description: East Lansing’s own eco-friendly, membership-based indoor playspace full of activities for infants, toddlers and children up to 6. Classes include Baby and Me, Movers Shakers, and Stories on the Move. See website or call for details about classes, costs, and hours. Cost: Membership is required. Call for details. Eligibility: Activities are for members. Non-members pay higher fee. Parent-Child Activities: Activities include Mom & Baby Yoga, Mom & Tot Gymnastics, Kids Gym, Parent-Child swim classes, and more. Activities vary by branch and time of the year. Contact your nearest branch for specific program details.